What would you do if you suddenly became ill or injured and could no longer work for a living? With so many people relying on every paycheck to make ends meet, not having an income, even for a short period of time, could be financially devastating. According to new research from the nonprofit LIFE Foundation, nearly one in four working Americans say they would have trouble supporting themselves financially “immediately” following a disability that keeps them out of work. Half would find themselves in financial trouble in one month or less. In fact, Americans are more concerned with having to face this reality than they are about paying their mortgage or rent, paying off credit card debt or losing money on investments. Yet, just 31 percent of workers say they own disability insurance – the very product that could guarantee their financial security. Among Hispanics, 73 percent believe most people should have disability insurance yet only 26 percent actually have it. 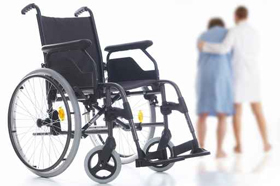 What is disability insurance? Disability insurance replaces a portion of your income if you were to become ill or injured and unable to work for a given period of time, even if the incident happens while you are away from work. Think of it as insurance for your paycheck. Who needs disability insurance? A good rule of thumb is that if you work for a living, you need disability insurance. It’s that simple. Do I still need coverage if I don’t work in a dangerous profession? Regardless of your profession, the odds of suffering a long-term disability are high for all workers because illness – not accidents – account for the vast majority of disabilities that keep people out of work. Where can I get disability insurance? The main source of disability insurance in the U.S. is coverage provided or sponsored by your employer. Find out if your employer provides short- and/or long-term disability insurance, and whether you have the option to increase that coverage. Professional associations may also offer their members the opportunity to purchase disability insurance through a group plan. You also have the option of purchasing disability insurance on your own with the help of an insurance agent in your community. How much disability insurance do I need? To get a sense of how much disability insurance you may need, visit the nonprofit LIFE Foundation’s Disability Insurance Needs Calculator at www.protectyourpaycheck.org/calculators.